Practices and Training began Tuesday, August, 22nd, 2018. The Fall Season runs through November 4th, 2018. Tryout/Player evaluations run the week of August 13th - August 17th. Early Bird for Fall Travel will run from August 1st, 2018 - 11:59 p.m. on August 12th, 2018. The Early Bird special is $785. If you are doing League AND Fall Travel (and getting the Early Bird special), the package is $960. The Early Bird special must be paid in full when purchased. The regular rate for Fall Travel, starting on August 13th, 2018 is $885. If you are doing League AND Fall Travel, the package is $1060. NOTE: Fall League on its own is $260. Uniform Package: $156 (only needed if you have outgrown your old uniform OR this is your first time playing with us). If you are doing a payment plan with us, you will be required to pay the full Uniform Package fee with the first part of your payment plan.  Travel Teams will be formed for boys and girls grades 4th-12th (There will be multiple teams at each grade level). $1060 for BOTH Travel and League (Early Bird is $960 for BOTH between August 1st and 11:59 p.m. August 12th). In addition to our weekly team practice and training, we offer additional multiple training options throughout the week. You can register here for traning classes. 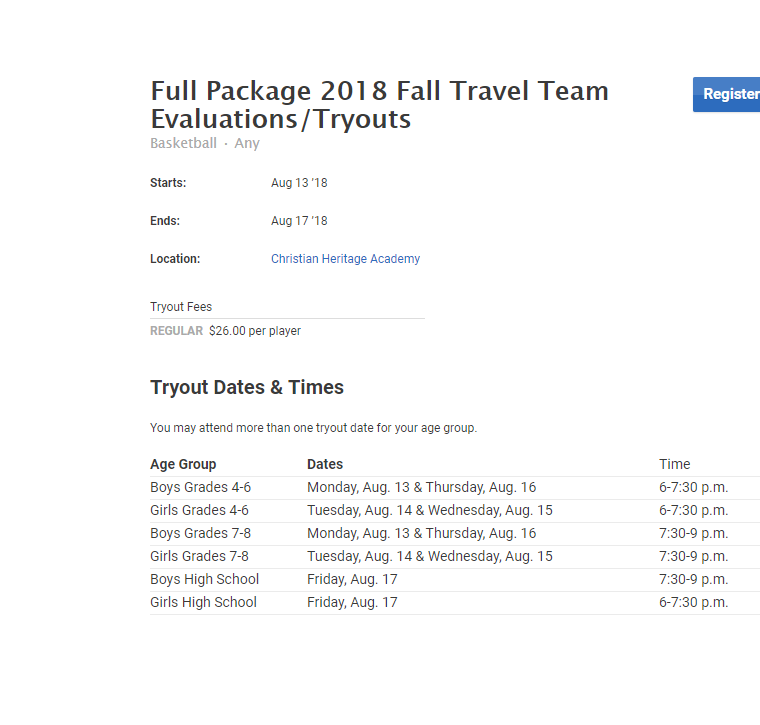 Tryouts run from August 13th - August 17th at Christian Heritage Academy. REGISTER for tryouts and see what days your age bracket is scheduled to tryout for Fall Travel by clicking on the blue bar below.